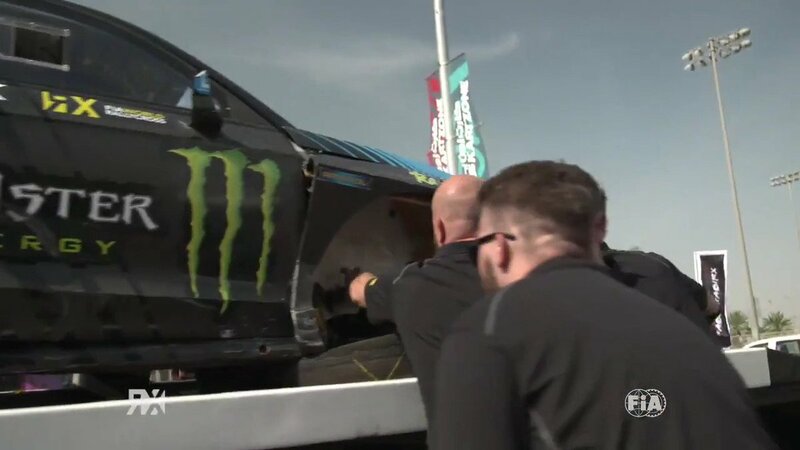 Norway’s Petter Solberg took an emphatic win at the wheel of his Volkswagen GTI Polo RX Supercar as the sport of rallycross celebrated its 50th birthday at Lydden Hill in Kent this weekend – round five of the FIA World Rallycross Championship presented by Monster Energy. Solberg’s team-mate Johan Kristoffersson made it a one-two for PSRX Volkswagen Sweden, while Hoonigan Racing Division’s Andreas Bakkerud took the third podium spot in his Ford Focus RS RX Supercar. Kristoffersson’s runner-up position this weekend has catapulted the Swede to the top of the drivers’ standings – four points ahead of Mattias Ekstrom who finished fourth in his Audi S1 EKS RX Quattro. Ekstrom, who suffered a puncture in today’s final, had the fastest reaction off the start awarding the reigning World RX Champion with the coveted Monster Energy Super Charge Award. In the overall teams’ standings, PSRX Volkswagen Sweden continue to dominate – 69 points ahead of Team Peugeot-Hansen who remain second. Rounding out the top five this weekend was Frenchman Sebastien Loeb – the Team Peugeot-Hansen driver fighting hard with Ekstrom for the majority of today’s final. Timmy Hansen was sixth overall, the Swede slowed after spinning his Peugeot 208 WRX Supercar on North Bend and later losing time with a left-rear puncture. Britain’s Andrew Jordan reached the final 12 but due to a bad start was unable to progress to the final. He ended the event eighth overall, one spot behind America’s Ken Block who finished seventh. Britain’s Dan Rooke finished runner-up in RX2 in front of a delighted home crowd, while Norway’s Thomas Holmen was third. In the FIA European Rallycross Championship for TouringCar, Lars-Oivind Enerberg took the win. Steve Volders and Kjetil Larsen finished second and third respectively. After three rounds, Enerberg leads the TouringCar standings – nine points ahead of Anders Braten. #68 Gronholm, Reprimand in Q2 for unsportsmanlike behaviour, ‘did not respect cars on his right after the start’. #2 O’Donovan, Five-second penalty for unsportsmanlike behaviour, ‘pushing while overtaking’. #15 Nitiss, Two-second penalty in Q4 for gaining time ‘not following the normal track in the Joker Lap’. #43 Block, Two-second penalty in Q4 for gaining time ‘not following the normal track in the Joker Lap’. #69 Eriksson, Two-second penalty in Q4 for gaining time ‘not following the normal track in the Joker Lap’. #88 Kasse, €250 fine for failing to register tyres at the correct time. #5 Royras, €200 fine for a missing tyre barcode in Q1. #2 Nordgaard, €200 fine for a missing tyre barcode in Q3. #90 Enerberg, €200 fine for a missing tyre barcode in Q3.